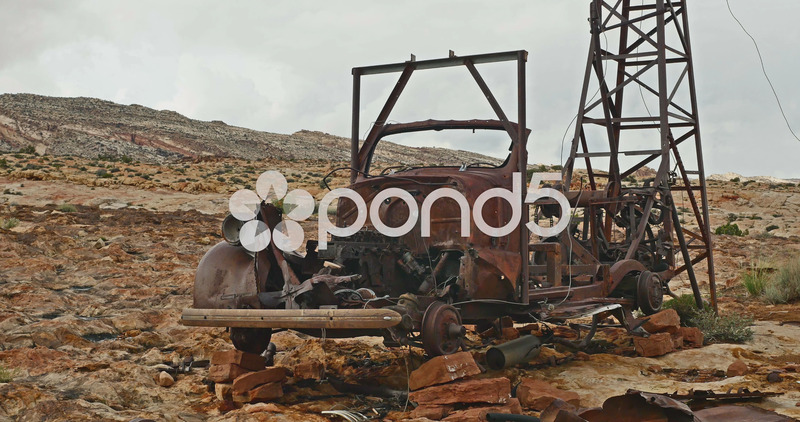 Description: This is an old abandoned oil drilling truck in a desert setting with stormy clouds overhead. This is a locked down full shot. Note: it's a 4K 4096x2160 original so if you are working in HD or 2K it's great because you can recompose the image if you like with no quality loss!